RUSH: Terry, Salem, Oregon. Great to have you, sir. How you doing today? CALLER: I’m doing great, Rush. I hope you’re doing just as well. CALLER: I’d like to get your take on what the Dems are saying about the SALT effect that is going to be in the new tax plan that’s out there. I’m coming across some items where they’re complaining about the wealthy are actually going to be disenfranchised with the new tax plan. RUSH: Well, nobody’s gonna lose their vote over the tax plan. Who…? What Democrats are saying that the wealthy are gonna be disenfranchised? 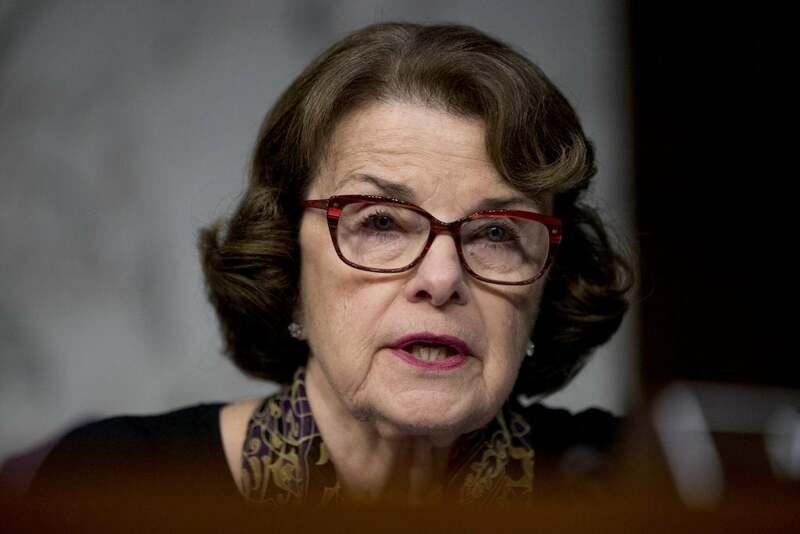 CALLER: Well, I saw something yesterday where Dianne Feinstein was complaining about the wealthy. Six counties in California had an effect on the home costs where you’re not gonna be able to deduct the real estate taxes. RUSH: Oh, that’s the home mortgage deduction. Yeah, yeah, I got this coming. This is fascinating. But you said the state and local taxes problem. That’s also got people like DiFi defending the wealthy. Democrats defending the wealth over tax effects on the state and local taxes not being deductible. Gotta take a break, though. Hang on. I’ll explain the mortgage business. RUSH: “State And Local Taxes,” known as SALT. I heard the caller mention it, told him it was ironic. Dianne Feinstein is defending the wealthy against tax increases in the Trump tax reform bill. Anyway, I’ll explain that and what he was really asking about was Dianne Feinstein complaining about mortgage deductibility in the new tax bill. Here the two things that are up for discussion here. The first thing, SALT. You know, Snerdley puts a couple of sentences up on the screen to give me a summary of what callers want to say, and on that first caller it said he wanted to talk SALT. I’m so old, I said, “Why do we got a guy on the phone that wants to talk Strategic Arms Limitations Treaty with the Soviets?” I thought, why in world have we got a call up here about that? And then I did a quick in-my-head calculation, “No, state and local taxes.” I haven’t seen the abbreviation in anything I’ve read about state and local taxes, but apparently it’s popular out there, so I figured that’s what he wanted to talk about. He said on social media everybody’s upset over what Dianne Feinstein posted, which is this. “The Republican tax bill caps the mortgage interest deduction at $750,000 for new mortgages.” She wasn’t talking about SALT, at least in this tweet. She was concerned about the new procedures on mortgage interest deduction. So again, “The Republican tax bill caps the mortgage interest deduction at $750,000 for new mortgages. In California, seven counties have average home prices that are more than $750,000. Alameda, Marin, Orange, San Francisco, San Mateo, Santa Clara, and Santa Cruz counties. So she’s very concerned that this isn’t gonna be helpful to anybody, 750,000 mortgage for new mortgages, and that’s the cap. And her point is that’s the cap? That’s the floor for people in these seven counties. She’s saying this isn’t anything. This isn’t gonna help anybody. I mean, that’s nothing. So on the one hand, what do we have here, on the one hand the Democrats scream at Republicans for constantly helping the wealthy, do we not? By the way, it’s the same thing on SALT, state and local taxes. Same exact thing. They scream at Republicans, this tax bill has been said to be a give-away to the rich, a sop to the rich, once again the Republicans are helping their rich friends. And then the Democrats turn right around and complain when the rich do not get a tax break. It’s the most amazing thing to watch. So on the one hand the Democrats scream at Republicans for helping the evil wealthy, rich taxpayers. On the other hand, they scream at Republicans for taking away the deductions of the evil rich, and wealthy. I have a project for DiFi. Why don’t you try explaining the state income tax deductions on your next tweet? Here’s how that works. State and local taxes are being capped at $10,000, meaning you can deduct up to $10,000 of your state and local taxes. Now, in Manhattan where the rich leftists live, the average deduction for state and local taxes is over $60,000. The average, the average. Now, I really a bunch of wealthy leftists are moving that average up, but in Manhattan, not the five boroughs, Manhattan alone, the average deduction is over $60,000, state and local taxes. But only 10,000 of that can now be deductible. In California it’s close to that but not quite as high. So what this results in is a big tax increase, and it’s on the wealthy. Not only on the wealthy, because there are some nonrich, nonwealthy people because of the California, New York tax systems who are paying exorbitant state income taxes, and they’re only gonna be able to deduct $10,000 of that now. Now, there’s a trick. Folks, this is what happens. Look, I’m blue in the face. This is what happens when they keep talking about having to pay for it. When you have a tax cut on one hand and over here, “Well, we have to pay for it,” I’m telling you when it’s over, you don’t have a tax cut. If the government has X much money when they start talking tax cuts and then after the tax cut policy is done and implemented and if the government has the same amount of money, there has not been a tax cut. Individuals may see a smaller tax bill, but others are gonna be paying more to make up for it. Thus they pay for it. This is the tradeoff for lower rates. It’s exactly what happened in 1986! Exactly. Top marginal rate was 50 percent, took it down to 28%, but a lot of deductions went bye-bye. The problem with this is is that the rates are eventually gonna come back up. The next time the Democrats are in the White House, the rates are gonna come back up. You know the first rate the Democrats are gonna raise when they retake the White House, whenever that is? The corporate rate. The corporate rate is 21% now. It’s 35. It’s gonna be 21% in this bill. And Bernie Sanders and the rest of the left, they’re promising everybody, promising everybody on social media, they’re promising their leftists constituents, “Don’t worry. Don’t worry. When we get the White House back, that corporate rate is the first thing going back up.” But then whose rates do they increase? The wealthy! The wealthy, which will have a 37% rate beginning in February or whenever they get the new tables done. The Democrats get back in, that rate will go back up. But what’s gonna happen is a lot of deductions are gone once the rates go back up. And will the state and local tax deduction ever come back in toto? I ask you, what are the odds that it’s gonna come back in toto? What about the home mortgage interest deduction? Will it come back as it is today? The odds are no. Washington does not give up money, folks. This tax reform bill — look, I don’t want to be misunderstood. This is gonna be a good economic stimulus. The corporate rate alone is gonna do that,, but also reducing the top marginal rate from 39.6 to 37 is also hugely simulative of the economy as are all the other rates. But on this state and local tax business, you know, I see this in a number of different ways. I’m a purist on taxes. I want to keep all of my money and give Washington what I think they need. That’s where I come from. I want all of mine, it is mine, I earned it, they did not build it, they did not fund this. They had nothing to do with. I want to keep it all. But I know that’s impractical. That’s never gonna be the way it is. Taxes are never gonna be voluntary. So then you start compromising. Okay, what would I accept? I want the vast majority of what is earned to be kept. I don’t buy any of this notion from each according to his ability to each according to his need. That’s right out of the communist manifesto, and I don’t want any part of it. Zilch, zero, nada. But Washington thinks all money is theirs and that what you end up with is via their policy and their good graces and so forth. I think it’s just the exact opposite. 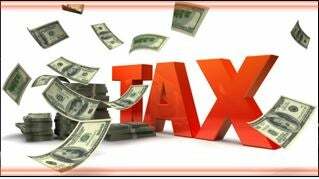 Now, the state and local tax deduction, this has been a huge benefit to big-time blue states, highly populated, highly taxed blue states. It’s California, Illinois, Connecticut, New York. Because of wealthy people in these states being able to deduct what they pay in state and local taxes, these states have gotten away with charging exorbitant taxes! Twelve percent, 14% tax rate, New York, California? Give me a break! On top of whatever the federal rate is? A lot of people who are by no means wealthy are paying over 50% total, well over it, when you factor FICA and the Medicare tax, state and local taxes, all the other user fees tossed and thrown in there, the taxes on your phone bill or whatever the hell else, state and local taxes, federal, people are well over 50%. That is immoral, in my view. It is immoral for a state, be it the federal government or the state in combination to take over half of what someone earns, and I don’t care how much they earn, it’s not theirs. And then we get to hear that the more they make, the more the government’s entitled to it? The more they make, the more government’s entitled because the more they make, the less they need it. Sorry, that’s none of their business. So if you eliminate the deductibility of state and local taxes, what do you expose? You expose these exorbitantly high state income tax rates. And for those of you who live in California, New York, Illinois, Connecticut, high-tax states, and you’re livid at this tax bill because you don’t get to deduct your state and local taxes anymore, you need to redirect your anger at your state governments because they are ripping you off. California is ripping you off to the tune of 10 to 12 to 14%. What are getting for it? A governor that tells you forest fires that destroy property are now the new norm because of climate change. That’s what you’re getting, along with all the other insanity and malaise that makes up the California economy. You talk about have and have-not, it is California, if you’re on one of the coasts, if you’re on the coast in California you’re okay. You go five miles inland and you might as well be in a slum, in many parts of that state. And what this is exposing is the exorbitantly high personal income tax rates these states have gotten away with charging. Because the federal government has allowed those taxes to be deducted from the federal return, with that ending up to a maximum of $10,000, it’s gonna focus attention on the state tax rates, which are the next things that need to come down. Taxes are too high everywhere, even in no-income-tax states. They have other ways of generating revenue. Property taxes in Florida are through the roof, you wouldn’t believe it. They have to have a way to compensate for no state income tax. All governments need as much money as they can get. About those forest fires. One other quick observation about this. You may be shocked to learn that a state like Georgia is more densely forested than California. I’m not talking about total acreage. I’m talking about forestation per acre. Here’s the difference. In Georgia, where they have much more forestation as a percentage of the state than in California, do you ever hear about these fires? Very rarely. Do you ever see scenes from Georgia or other southeastern states with — fly over some of these states, you can’t even see the roads beneath them, the forests are so thick, including in upstate New York, it’s incredible. You wonder how whatever’s below the forest ever gets any sunlight. It’s thick as hell. You know what the difference is? In Georgia and a lot of places the southeast, most of that is privately owned. (interruption) What? No, it’s not rainfall. It’s private ownership versus state ownership. In California the state owns it and you’ve got idiots thinking that it is against nature to clear out deadwood, which is timber for fires, kindling. If you have wackos who think doing anything to prevent fires from spreading or growing or even starting is a violation of nature, well, then I’m sorry, you’re cooking your own goose. But privately owned land, the people that own that land have a much greater sense of worth and value. They protect it, they clear it, they take the stuff out of it that could cause a fire to spread if it starts. None of that happens in California because they’re run by a bunch of left-wing lunatics. 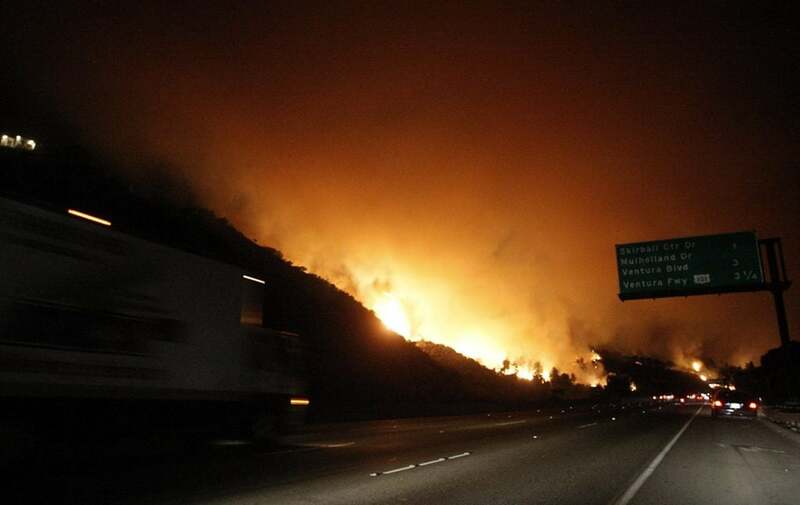 And so when these fires start out there, coupled with the Santa Ana winds, when they happen, much of this forestation is literal kindling wood because they’re not allowed to clear it out. It’s considered a violation. In some of these western states, the leftists, the environmentalists don’t even want you putting out a fire because that’s artificial. A fire starts, it’s natural. What burns is natural. The more it burns, the better for the stupid climate change agenda that they’ve got. Then you couple that with a governor telling people that live there, “Sorry. New normal. Can’t do anything about it. Climate Change.” People that vote for people like that deserve to be paying higher taxes because of the stupidity, if you ask me. RUSH: So what is California thinking of doing to deal with this? Well, get this. Los Angeles Times: “One option that could be considered by the Legislature would be to redefine state and local taxes as charitable contributions, which remain fully deductible under the GOP tax proposals. So now your state and local taxes are gonna be considered — they’re thinking about this in California — considered as charitable contributions, which means you could deduct ’em. Which, in fact, may not be far away from the truth, your government as a charity.RUSH: Here is Tony, San Diego. Great to have you on the EIB Network, sir. Hello. CALLER: Hello, Rush, how are you doing? RUSH: I’m fine and dandy. Thank you, sir. CALLER: Say, I’ve been listening since 1984. I heard I was supposed to hate you. I’m an African-American. RUSH: 1984? That means you must have lived in Sacramento at one time? CALLER: I lived in Sacramento after that. At that time I was living in the Central Valley in a place called Visalia. RUSH: So as an African-American you’re supposed to hate me? CALLER: Well, I was told by the guys in the neighborhood that I was supposed to hate you and I asked ’em why and they couldn’t tell me. Then I turned to your show one day and you said you had no respect for somebody that hates you but don’t know you, and that if I give your show six months and I hate you that you’ll respect me. So I thought that’s fair. RUSH: (laughing) Something like that. It was six weeks, but I said if you listen and still hate it I’ll have a little bit more understanding, but if you’ve never listened and still have this hatred, it makes no sense. RUSH: You’re right about that. CALLER: So that’s what I did. I’ve been hooked and my family’s been hooked, and everybody I run into I turn into Dittoheads or they get away from me. (laughing). RUSH: Look, I appreciate that. I thought that might be where you were going but I didn’t want to assume anything. So I thank you from the bottom of my heart. CALLER: I thank you because your program of Advanced Conservative Studies has really opened my eyes to what’s really going on in America, and I just thank God for you and Trump and what’s the guy comes on after you, my brain is stuck, gosh. Anyway, I called about the firefighting thing. I’m a retired firefighter. RUSH: You’re thinking of Sean Hannity. RUSH: Sean Hannity. God bless you out there, Tony. We all appreciate your kind words. We really do. CALLER: Thank you. You know, I was one of the first black firefighters in the wildfire fighting here in California. We started in 1969, there were 55 of us. We were sent as an elite group from the Conservation Corps. But, anyway, after that time, you know, I went back to the Conservation Corps and I fought fires there off and on for over 20 years. But I was telling your screener that during the 70s and 80s we had 60 camps of about 250 workers and we maintained the forest. And before I retired I was up at Tahoe working on such a project, and, man, those tree huggers would come out there and attack my crew and run us out of there. And so now instead of having 60 camps, we’re down to 17 camps. And they’ve closed a lot of inmate fire camps. And, Rush, this is a powder keg waiting to go off over here. RUSH: Well, I’m glad to have you call and confirm it, ’cause it’s exactly the case. CALLER: And it drives me nuts ’cause, you know, the forest service used to allocate somewhere around $80 million for every Ranger district, and we would go out do lopping and thinning and burning and clearing, and then we’d put wood out for the public. And, Rush, they just shut it down. RUSH: I know. You would even do controlled burns. You would do controlled burns to take that away as fuel for an eventual fire that might start down the road. RUSH: You used to do all this stuff that now the environmentalists will not let you do you in California. When the state owns the land, if you got a bunch of leftists or socialists running the state, they’re gonna listen to their buddies, the leftist, socialist agitators and protesters. It’s another bit of evidence about private ownership is always gonna end up with better quality and better stewardship than state ownership. It’s not even arguable. RUSH: — that would help you? CALLER: That’s right. During the off season, we took ’em out into the woods for 10, 20 days at a time to do the reforestation work, stream clearance, all of that stuff, that’s who we used was the homeless. RUSH: Well, good for you. You sound like you’re doing the Lord’s work on in any number of ways out there, Tony. RUSH: I’m glad you got through. Look, those are tough people to get a hold of. Even I, a powerful, influential figure in the media have trouble. CALLER: Like I said, I was surprised to get hold of you. RUSH: Look, Tony, I gotta tell you, when I worked in Sacramento, 1984 to ’87 routinely firefighters, contract, it wasn’t their steady job. These were volunteers that would go out and fight these fires and they would call and talk about it, and it’s how I learned what goes on. I’m not making this stuff up. The leftists in that state literally will not let you touch nature. If it’s there, it’s meant to be there, and if it’s kindling that is gonna fuel an eventual fire, you can’t clear it, you can’t take it away. Even on private property they will try to stop you from doing this on property you own, much like they have stopped farmers from encroaching on so-called endangered species like the snail darter or whatever. I’m telling you, they’re a disaster. They help disasters, they cause disasters, and they promote ’em, doing what they think is best or right or what have you. Anyway, Tony, I really appreciate the call. It’s great to hear from you. Merry Christmas to you and your family and everybody doing what you’re doing out there.